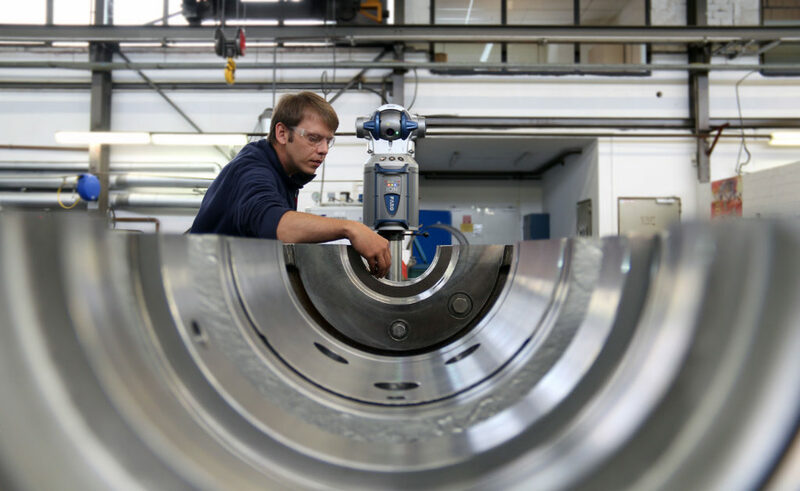 Do you need flexible, fast and precise 3D metrology? Right at your company? Then use our service with mobile 3D measuring systems. Whether it is smaller or even complex components, installed components or just things that can not be transported. Whether it takes place in a small space, or to complete production lines and production halls. For the calibration or alignment of robots or machines, incoming goods tests, dimensional analyzes, in-process investigations or initial sample tests as well as actual value recordings … the application possibilities are very diverse. Our highly qualified staff take the measurements with the necessary equipment through on-site.